Love Setmore? Share it with a friend! Don't love Setmore? We want to hear your feedback! Do you really enjoy Setmore and want to share that experience with your colleagues? We have a built-in sharing feature that makes it easier to spread the word about Setmore with a simple text via SMS, Facebook, Whatsapp, Gmail, Messenger, Bluetooth, or any other social media and messaging app. You can also edit the default template text, which includes a link to the Setmore homepage. In the bottom navigation menu, tap the More button. In the More menu, tap Share Setmore App. 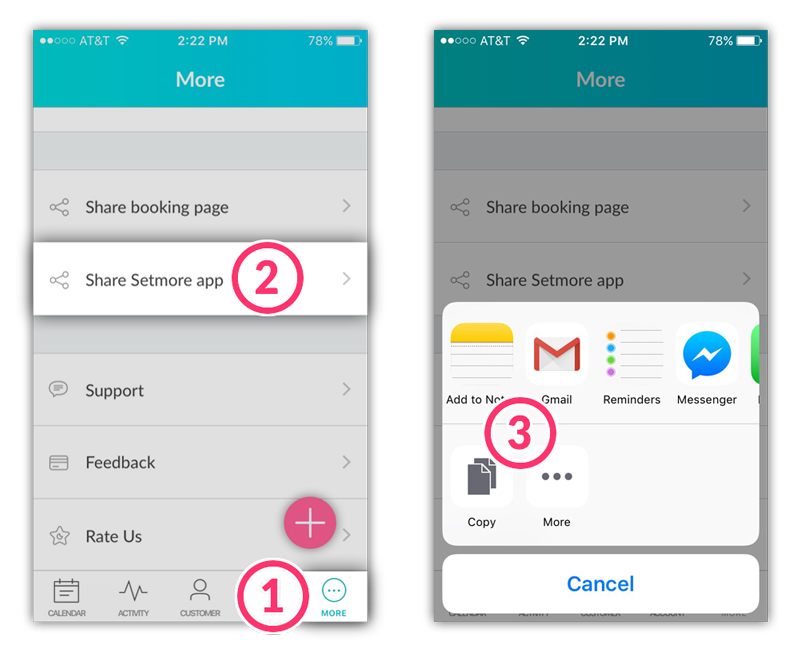 Next choose which app you want to use to share Setmore (or just tap the option for Copy.) Doing this will send a link for users to go to www.setmore.com. 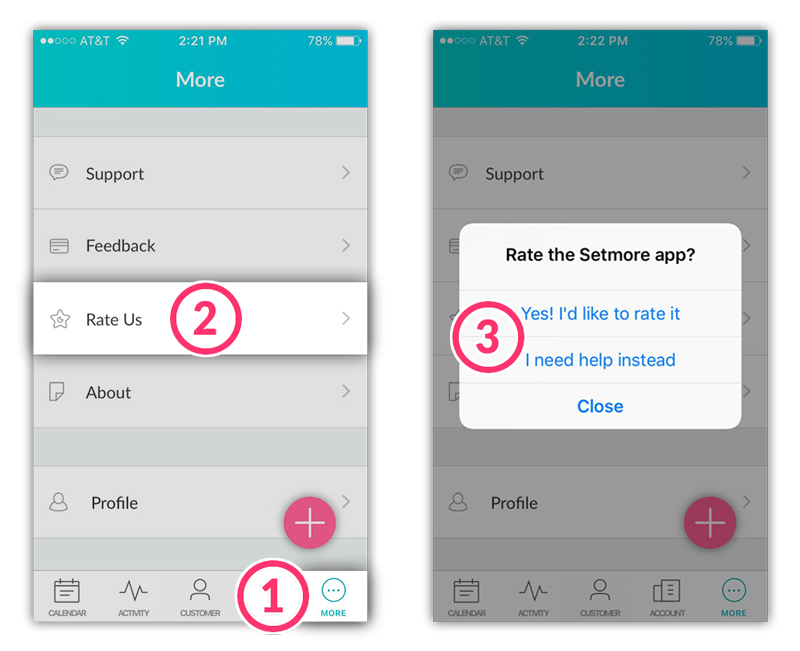 We want to hear about your experience with Setmore so please feel free to rate us – good or bad, we want to hear it! Favorable ratings tell us what we’re doing right, and low ratings tell us where we can improve. We do read and respond to our reviews. If you want to bring anything to our attention, simply post a comment. It helps us grow. In the More menu, scroll down and tap Rate Us. Tap Yes! I'd like to rate it to post a rating for the Setmore app. Or tap I need help instead to provide feedback about an issue you're having with the Setmore app.